Read the following review about EstroComfort to discover the facts about this product. 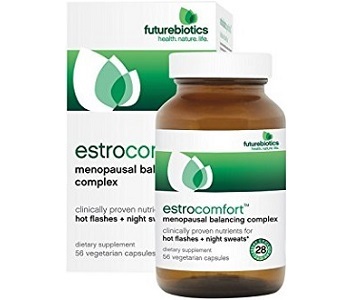 The manufacturer claims that it is an all-natural phytoestrogen supplement formulated with ingredients that will offer you a nutritional alternative during menopause and also help reduce menopausal symptoms such as hot flashes and night sweats. 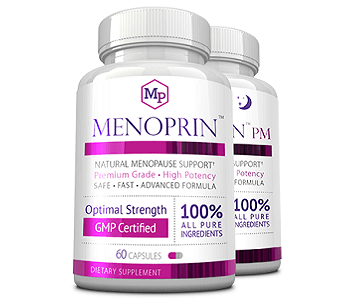 This product claims that it will help create hormone balance and that it will provide relief for menopausal women during this natural phase of life. Vitamin B6, B12, and Folate are all essential for correct body functions and also cardiovascular health. Red clover blossom extract contains components that may act as estrogen and therefore assist with menopause by creating hormonal balance. Soylife also acts as estrogen and may assist with treating some of the symptoms associated with menopause. Suntheanine L-Theanine extract may help reduce stress by calming both body and mind. Black cohosh root extract may assist with treating the symptoms of menopause. Magnolia bark extract also has calming properties. Dong Quai root influences estrogen and other hormones. Chasteberry fruit affects hormone levels similar to that of pregnancy, may have mild symptoms such as acne, rash, menstrual bleeding, and headaches. Kudzu root may increase blood circulation and may also act as estrogen. Date fruit extract induces calm. Futurebiotics BioAccelerators blend may assist your body to absorb the nutrients. The manufacturer recommends that adults should use this dietary supplement by taking two capsules daily and preferably with meals. It is cautioned that you should first consult a doctor before use and that this product is not suitable for use during pregnancy and lactation. Unfortunately, this product does have some side effects suggested such as stomach upset, nausea, vomiting, bloating, breast tenderness, headache, and weight changes. It is advised that If any of these symptoms seem to either persist or worsen, you will need to consult your doctor immediately. You can purchase this product online from the Futurebiotics website and it will cost you $19.95 for a bottle that contains 56 capsules. There are no discounts available for this product which is somewhat disappointing. The manufacturer does offer a 100% money back guarantee for this product however, it is extremely worrying that there are some negative customer reviews which state that this product is not very effective. This product does have some good ingredients and it also has a money back guarantee offered by the manufacturer which could suggest that it might be an ok product although, the customer reviews available seem to speak rather negatively about the general effectiveness of this product which is disappointing. This product also a relatively long list of side effects which could cause concern and based on all the significant findings for EstroComfort, it does not seem to be your best option for the treatment of menopause symptoms and it may be a good idea to consider other more effective products.